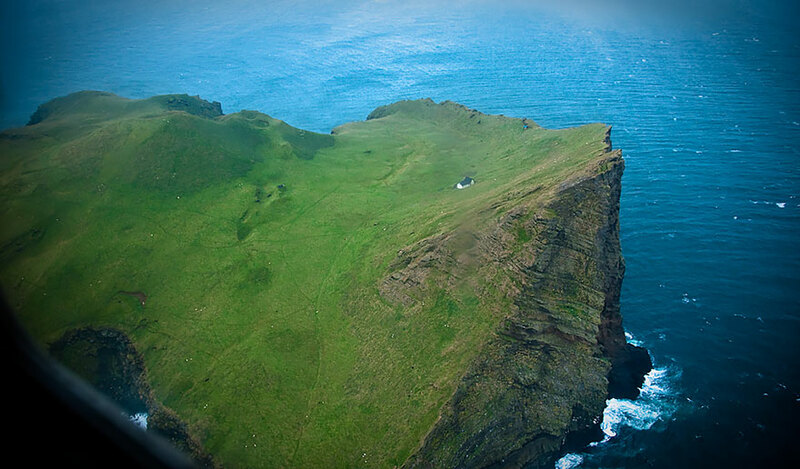 This very well could be the world’s most secluded house. 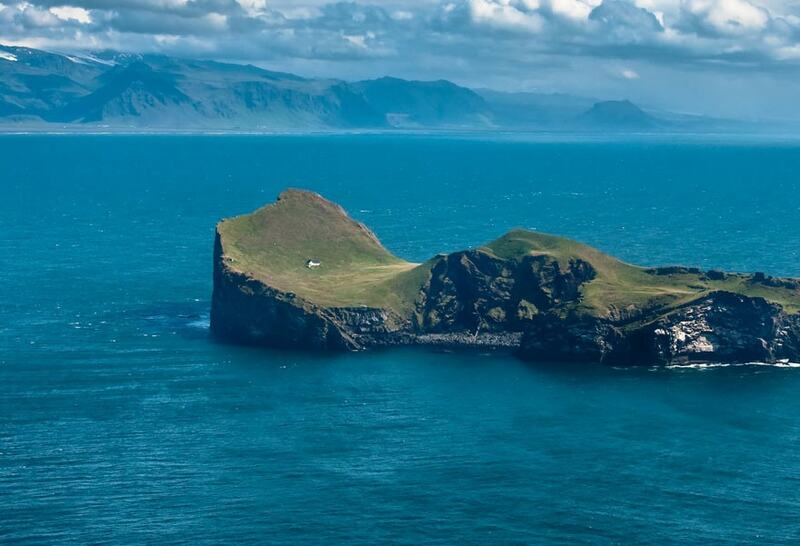 Located in Iceland, this solitary humble abode resides on an archipelago off the southern coast of Iceland called the Vestmannaeyjar and within that archipelago sits the pristine Island called Elliðaey in which the house rests upon. 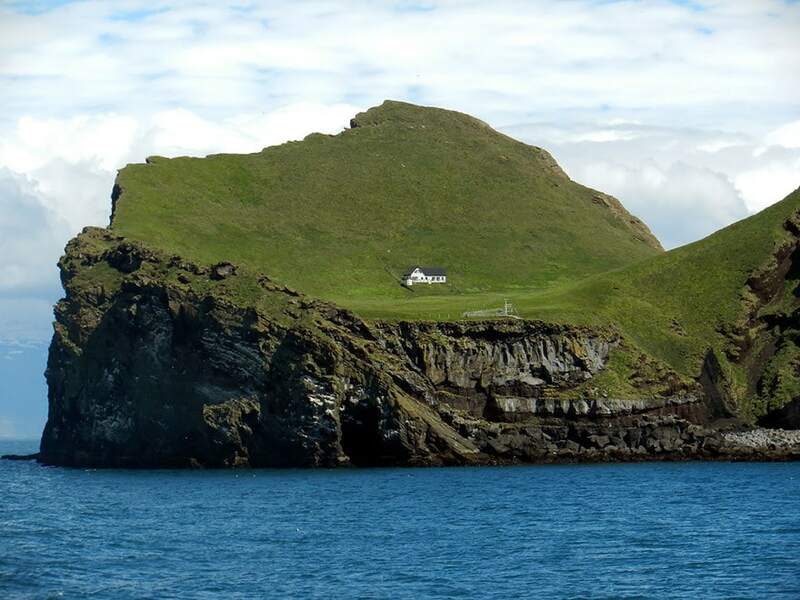 Many images have been taken of the house by passing airplanes and boats leading to a copious amount of false rumors serving as explanations to why the house exists on such a secluded place. 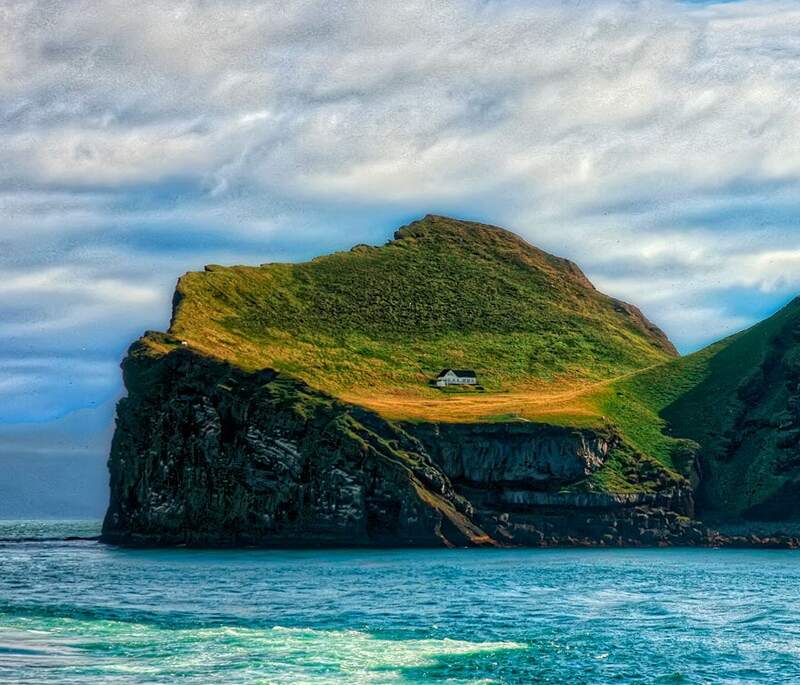 For the record: this house is not located on Iceland’s third largest island; it was not a gift by the government of Iceland to native popstar Bjork; it is not a photoshopped hoax; and it is not inhabited by a billionaire who wishes to remain anonymous, or anything of that sort. 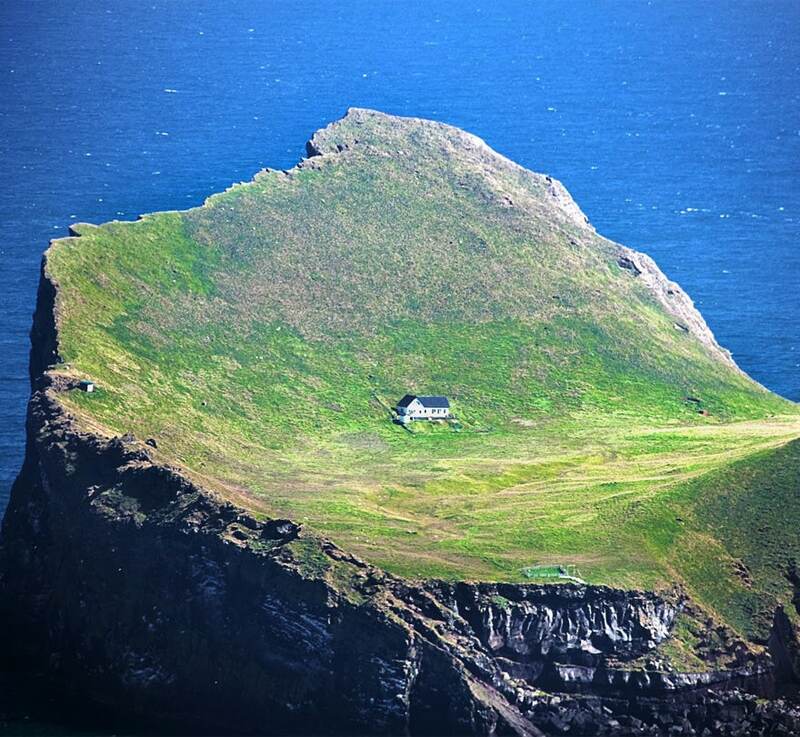 Sorry to disappoint you but the house is actually not a house at all. 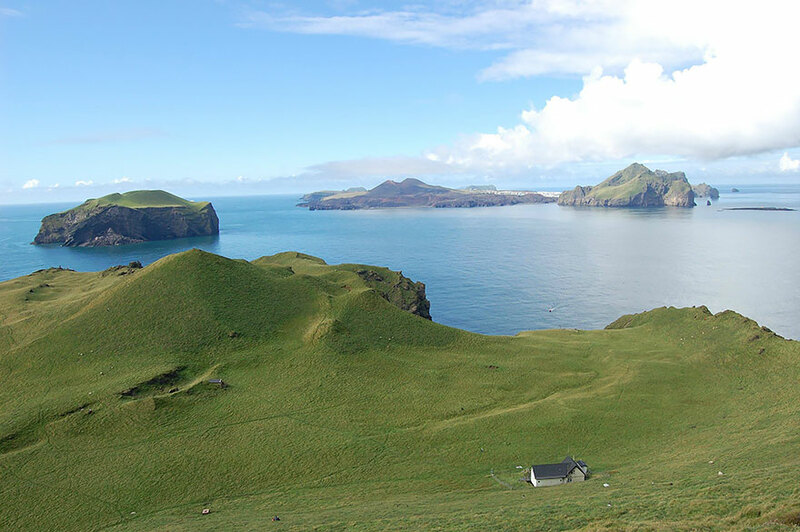 The simple truth is that the house is a cabin used as a sauna and shelter for a local hunting association who hunts puffins (birds) on the island. Puffins are hunted for their eggs, feathers, and meat. 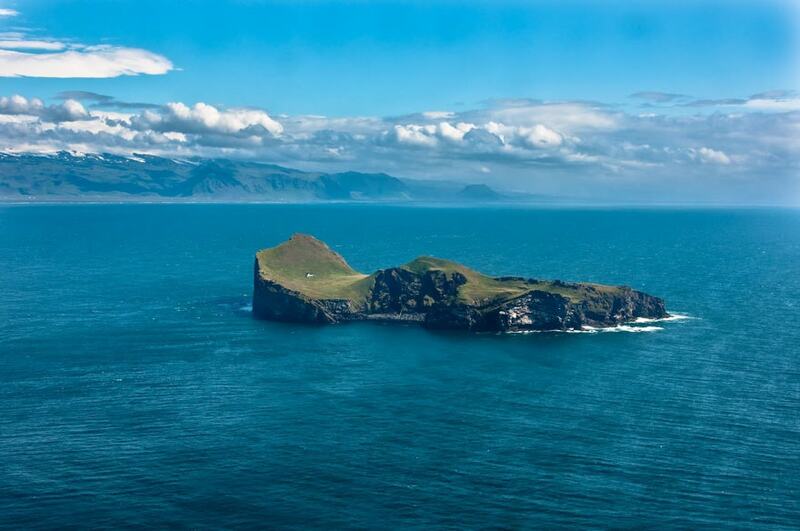 The island was once inhabited by five families approximately 300 years ago. By the 1930s, the last permanent inhabitants had left.